Journey through a world full of extinct creatures and fantastic technologies. "This was a lot fun. Challenging yet easy enough that I didn't feel like I would never be able to move on. The graphics are great. I love it!" A mysterious villain is using a time machine to destroy everything in his path. He wants to return the Priest, the King of Atlantis and the Ancient Emperor so he can use them to create a new world order. Claire and her friends must find out who the villain is and stop him and his minions. Go on a journey through a world full of extinct creatures and fantastic technologies. Many varied quests, over 50 levels, a fun storyline, simple and exciting gameplay, and a fantasy world await you. 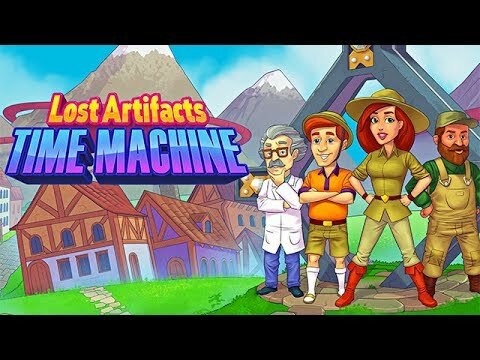 Create portals, restore epic buildings, seek out extinct animals, and overcome challenges in Lost Artifacts: Time Machine.